Whether you are trying to conceive or are trying not to get pregnant using Natural Family Planning, you may wonder "When do I ovulate?" There are several ways to tell. Most women fall into the category of having the typical monthly cycle. For the vast majority of women in their fertile years, the cycle is a predictable twenty eight days. This means that counting the first day of your period as day one, you would ovulate on day fourteen. This is because ovulation normally occurs fourteen days before the start of the next cycle. In a thirty day cycle, you would ovulate on day sixteen and in a twenty one day cycle you would ovulate on day seven. If the female body worked in a completely predictable pattern all the time, then answering "When do I ovulate?" would be easy. But most women have variations in their cycles, so just assuming that you ovulate fourteen days before your next expected period can been risky. It is a good idea to keep a record of your cycles for several months to get an idea of what is average for you. It doesn't have to be complex, just a calendar with the first day of your period marked on it for each month. You also mark the days that you think you are experiencing signs of ovulation. Over a period of time, you will have a good idea of your cycle and how it works. This is invaluable for knowing when you ovulate as well as for keeping track of your cycles for other reasons. For example, you are not only fertile on the day you ovulate. Generally, you will be fertile for about three days in the middle of your cycle. A more exact way to know when you are ovulating is to learn the way your body responds to ovulation. There are normally physical signs and symptoms that you can watch for that will tell you that you are ovulating. The amount of mucus will increase. It will become clearer and will thin out, becoming less sticky. It will become more transparent. You will be able to stretch the mucus between your fingers. As the most fertile period of your cycle nears, there will be changes to your cervix as well. You may be able to note these changes by examining yourself. Be sure that your hands are clean and your fingers are perfectly dry. The cervix becomes softer. Normally, the cervix is a hard bump that feels somewhat like the end of your nose. During ovulation is becomes increasingly soft. The tip will lift. You will be able to detect a change in position. It may feel tender if bumped. 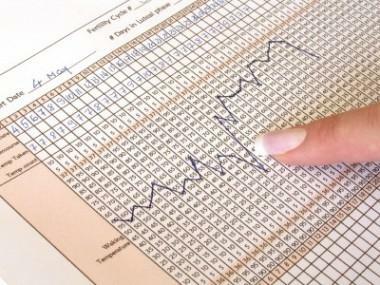 Charting your basal body temperature on a daily basis is a good indicator of ovulation. You will need a special basal thermometer so you can take your temperature every morning before rising and should keep a list of your daily temperature.During ovulation, progesterone levels will go up, causing a rise in temperature. When ovulation takes place, your basal temperature will be higher for the last two weeks of your cycle. Because basal body temperature is the best indicator of when ovulation takes place, it is an important tool in determining whether someone who is having difficulty conceiving is ovulating at all. You must keep a chart for a couple of months to have the most accurate information. Every woman is different, but by learning the unique signals for your body you can easily determine when you are most fertile.